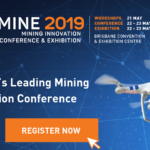 Austmine, the world’s leading mining innovation conference, is set to take over the Brisbane Convention and Exhibition Centre from May 21–23, 2019. 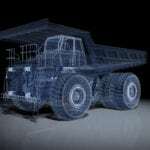 The next horizon of mining is an exciting phase for the entire mining value chain, with technology improvements set to revolutionise future decisions in the sector. 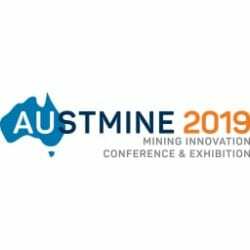 Austmine 2019 is specifically for those who are passionate about innovation, working within mining companies, mining equipment, technology and services (METS) companies, and relevant academia and government, the conference brings together all parts of the industry. 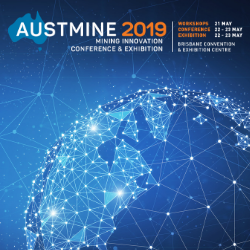 In addition to hands-on workshops, lively panel discussions, exciting ideas exchanges, and networking opportunities, Austmine 2019 will feature over 40 thought provoking presentations and interactive workshops relating to a range of important topics for the modern mining industry. Topping the subjects to be covered will be insight relating to Intelligent Equipment: Earth Shattering Technologies, with a focus on new machinery and techniques, including autonomous heavy vehicles, sensors, drilling and AI. The Human Element of Technology: The Embers that Light Innovation will cover how companies are enabling their workforce to embrace new solution thinking, by creating a culture of ideas and efficient processes. Focus will be placed on the field of Analytics, Data and Security: The Changing Winds, with the latest developments in digital efficiencies, analytics, and data systems that are leading the transformation of the mining industry. 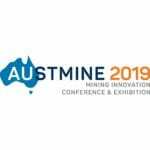 Austmine 2019 will unearth the latest in digital innovations, with a theme of Integration and Connectivity: A Breath of Fresh Air, which will challenge the status quo of the industry, with the push towards fully connected mining. Finally, Striving Towards Sustainability: A Sea Change is Coming, will examine how the industry is moving towards sustainability with the adoption of new technologies, renewable energy sources, and world-class processes for water and waste management. Delivering these key themes will be a world-class line-up of thought leaders, gathered from across six continents, including the likes of Rag Udd of BHP, Natascha Viljoen of Anglo American, Barry Fitzgerald from Roy Hill Holdings, managing director of OZ Minerals, Andrew Cole, Angus Melbourne of Orica and Ann Burns from Accenture to name a few.